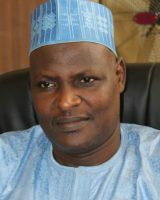 Dr. Umar Musa graduated from Ahmadu Bello University Zaria in 1984 with a Bachelor of Pharmacy degree. He started work with the Borno State Hospitals Management Board Maiduguri as Pharmacist Grade 1 in 1985 and went on to obtain a Masters degree in Pharmaceutical Chemistry, specializing in Drug Analysis and Quality Control in 1995 and then a PhD (Pharm Chem.) in 2010 from the same University. His research interests include impurities in pharmaceuticals and contaminants in food and has a number of peer reviewed publications on toxic chemicals in water, truce essential elements in staple foods, and pesticide residues in smoked fish. He has attended a number of training programmes and seminars since joining the agency both within and outside the country, including Quality testing of Antiretroviral drugs in South Africa; Development Scale-up and Production of Biopharmaceuticals in India, and a seminar on Quarantine and Inspection procedures for officials from Africa in China. He is a fellow of the Security Institute of Nigeria.